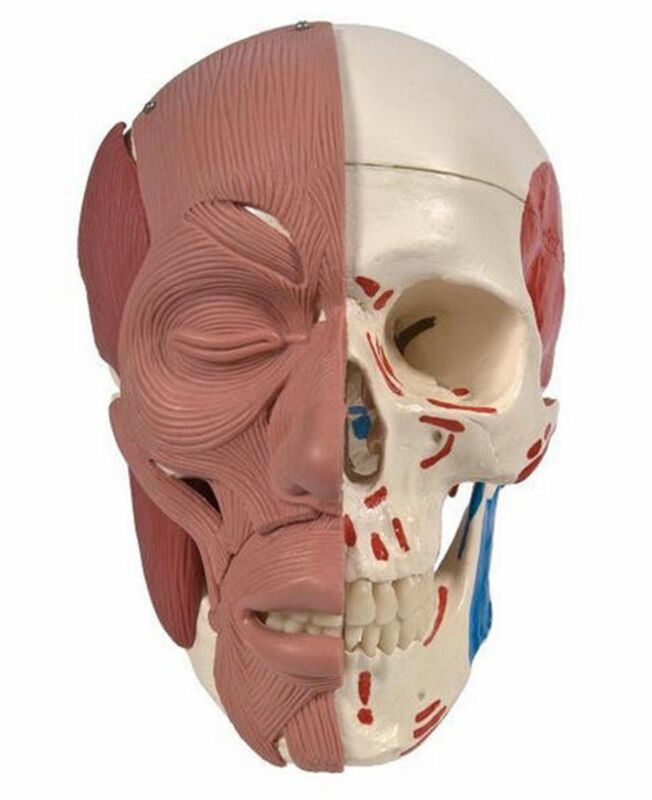 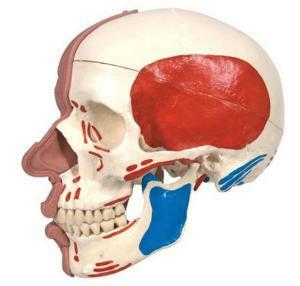 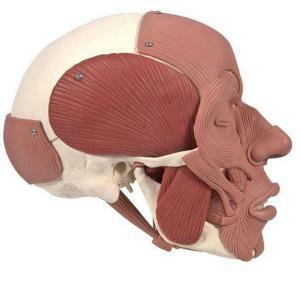 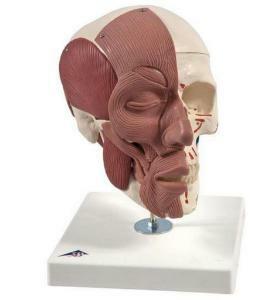 The face and mastication muscles are illustrated on the right half of this skull model. The face musculature can easily and precisely be differentiated from the mastication musculature by using two colors. On the left half the muscle origins and insertions are marked with colors (origin: red, insertion: blue). 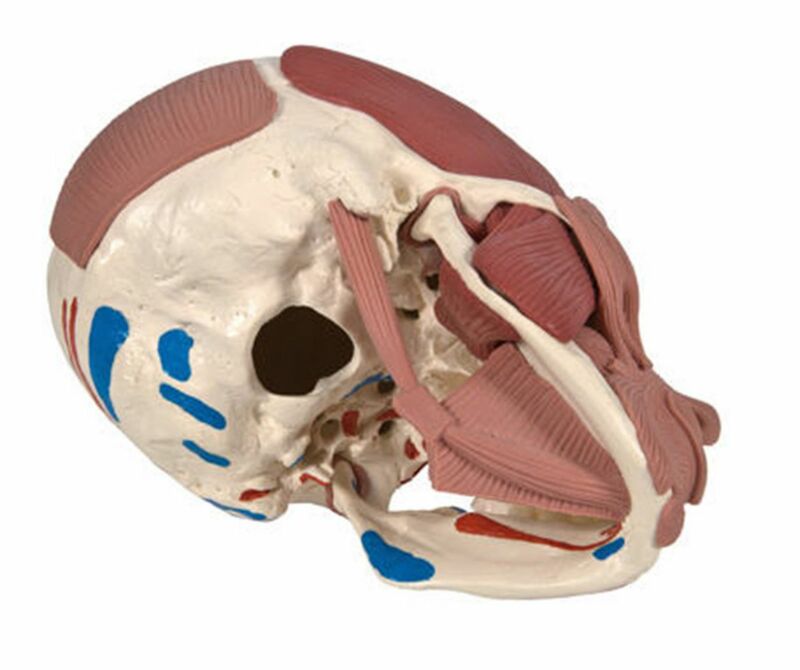 The jaw is movable and due to the flexible musculature the rudimentary chewing motion can be demonstrated. 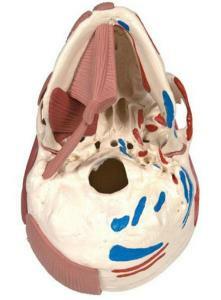 Cranium and m. masseter are detachable.